The conventional method of setting precast concrete, stone or other type paving slabs into a sand, gravel or mortar bed has had a deleterious effect on many types of promenade and other deck systems. The entry of surface water into these systems causes pavers to heave due to freeze-thaw cycling, wash-out, break-up, and eventual deterioration of the water-proofing membrane over occupied areas below. The high cost of replacement, leveling and aligning the pavers as well as repairs to the waterproofing, is an ongoing maintenance problem. 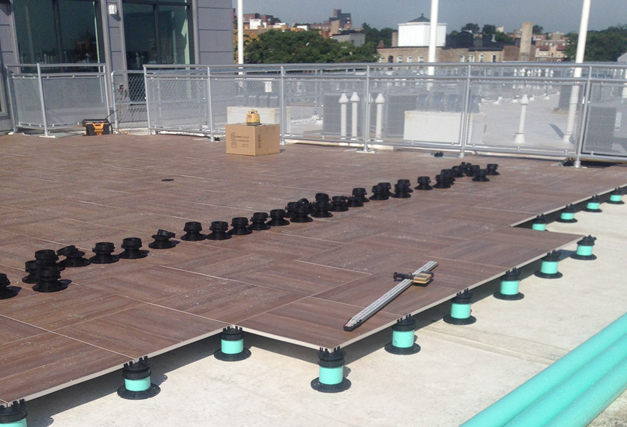 Tile Tech Paver Pedestal System has been designed to meet North American climatic and architectural requirements – deck surfaces can be elevated to separate and provide a drainage space between pavers and the waterproofed supporting structure below. The concept of using concrete pavers as roof ballast, plaza deck and terrace pavers has created new opportunities for otherwise lost space. Roofs and Decks can now be functional, as well as attractive when viewed from higher elevations. Tile Tech Paver Pedestal System provides durability, protection and performance for the roof system from harsh weather conditions. The popularity of energey-efficient roofs, or Green Roofs, is increasing as its value is appreciated. Tile Tech Pavers has been developing a series of pavers that provide reflectance and emissive values providing great performance to the Green Roof concept. 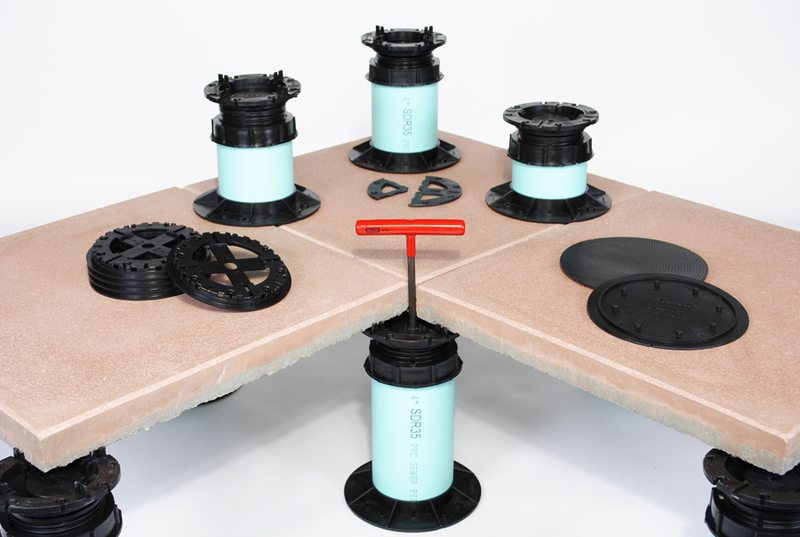 Paver Pedestal System is a solution to the problems encountered due to the use of the conventional decking method. The main concern with the conventional method is the entry of surface water in the system causing damage to the pavers. This entails continuing maintenance due to the need for replacement and repairs and thus requires higher expenditure. Pedestal Paver System is intended for North America’s climate and architectural requirements – elevated deck surfaces providing a drainage space between the pavers and the waterproofed supporting structure beneath. With the use of concrete pavers as terrace pavers, plaza deck and roof ballast, lost spaces could be functional in many ways. Aside from being useful, roofs and decks could also be eye-catching especially when viewed from upper elevations. Essentially, Paver Pedestal System provides performance, durability and protection for the roof system from extreme weather conditions. Green roofs are highly appreciated due to their value and efficiency. Pavers provide emissive values and reflectance providing excellent performance to the Green roof concept. 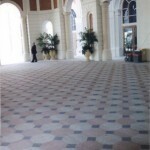 Pedestal Paver System makes use of interlocking pavers. These are pre-cast pieces of concrete or brick which are connected to each other constraining motion of one paver by another. They have the tendency to simulate the effects of cobbled pathways. 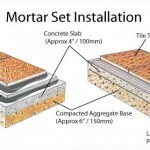 Due to this special interlocking feature, pavers can be easily installed without the need for mortar. Also, they can be installed by homeowners or contractors by themselves with much ease. These pavers connect together by using sand and can cover external floorings like pathways, driveways, walkways, rooftops, etc. Practically, interlocking pavers is a good alternative to bricks or concrete. One of its advantages is the various colors and designs available. Interestingly, they can connect together to create a variety of geometric designs. Correct installation of interlocking pavers would result to the unity of the paver units. It requires proper combination of the pavers, joint sand, bedding sand, and edge restraint. Interlocking paver blocks can transfer loads and stresses across the surface through an arching of bridging between the units. Thus, the load is spread over a large area and the stress is reduced. This allows traffic over sub-bases and heavier loads which normally require a great deal of reinforced concrete. 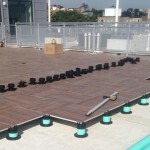 Paver Pedestal System is indeed a wise and practical solution for North America’s concerns on decking. It offers a method that is perfectly fit to its climate, durable pavers, low cost maintenance, lifetime service and a great support to Green Roof system. “The definition of ‘interlock’ is: to connect so that motion of any part is constrained by another”. Interlocking pavers are most commonly made from cement or concrete, and tend to simulate the effects of cobblestone pathways. have the advantage of being an easy self-installation paving material for the homeowner or contractor. Interlocking pavers connect together through the use of sand, and can cover any patio, decking, driveway or walkway. Virtually any application that bricks or concrete would be used for, interlocking pavers is another alternative. 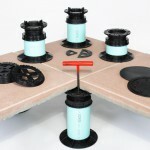 When installed properly, the combination of the paver pedestal system, bedding sand, edge restraint and joint sand causes them to bind, allowing the paver units to become a unified whole. Interlocking paver blocks have the ability to transfer loads and stresses laterally by means of an arching of bridging between units, spreading the load over a large area, reduces the stress thereby allowing heavier loads and traffic over sub-bases which normally would require heavily reinforced concrete.